It’s hard to fathom that we have already begun campaigning for 2020. It seems like November of 2016 was yesterday! But it wasn’t. The presidential campaign cycle begins earlier and earlier every 4 years. And maybe that’s a good thing. After all, being that lengthy usually means more and more candidates jump into the race just to see if America likes them enough to give them a shot at the White House. Then, just as quickly as they jump in, they begin to jump out of the race one at a time. The race for 2020 already has about 20 in the race with several heavy hitters undeclared. In that race for candidates to start swimming the “election river” are all the polling entities. Nowadays it seems that everyone has a poll. And it seems they will take a poll on ANYTHING! It’s really comical to watch. And as you’d bet, the polls have already begin in earnest to tell Americans who every other American likes, who is the best presidential candidate in the race, who has the best shot of winning the most vote and who has the best shot to win the electoral college, and the list of poll types goes on and on. And you can bet the polls themselves will go on and on, too! I’ve seen already about 50 polls regarding 2020. And they change from day-to-day and during each day during day-parts. We’re not going to dig into what and how polls are done and what impacts their results. 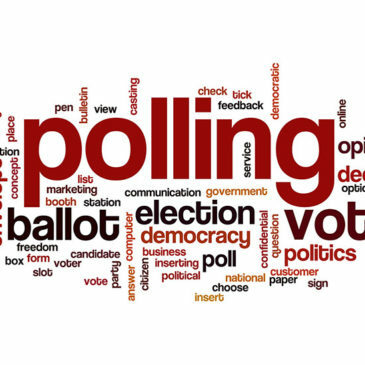 Let it suffice to say this: polling methodology can be tweaked in about 50 ways to sway the results of each poll for the benefit or detriment of any candidate however the polling entity wishes to do. Facts do NOT matter when it comes to polling. Because of that, pollsters have become very important, very expensive, and an absolute necessity. The recent polls to no one’s surprise have been all over the place, too. I saw one yesterday that showed Bernie Sanders “if the presidential election was held today” would beat Donald Trump with a double-digit margin of victory! When I saw it, I just shrugged it off, because I know “it’s a long time before we’ll know who’s going home to the White House in January 2021. In spite of what polls say today, tomorrow, next year, and even the morning of November 3, 2020 — election day — NO POLL, NO POLLSTER, NO NEWS PERSON, POLITICAL CANDIDATE, FORMER PRESIDENT, AND NOT EVEN ANY AMERICAN VOTERS WILL KNOW WHO’S GOING TO WIN! What’s fun will be that even with the video you just watched above that exposes their misses, vitriol, crazy ideas and predictions, the same people on the same shows and networks, the same writers and talk show hosts will take “the poll of the day” and make the same stupid mistakes again! By the way, the “elephant” in the room will be the same guy that lives at 1600 Pennsylvania Avenue right now. Elephants are pretty hard to move unless and until they want to. It’s going to be tough to get this elephant to move until 2025!